A national conversation on the future of marine recreational fishing in NZ is taking place from 14-16th February 2013 in Nelson. This conversation is part of the Future Search project. It is an opportunity for the people who care about fisheries in New Zealand to dialogue, discover common ground and agree on action plans for recreational fishing. Given the sheer number of recreational fishers in NZ (around 1 million) and the rich diversity of beliefs, values and ideas held by all these people, a planning tool called Future Search has been chosen to guide the national conversation. 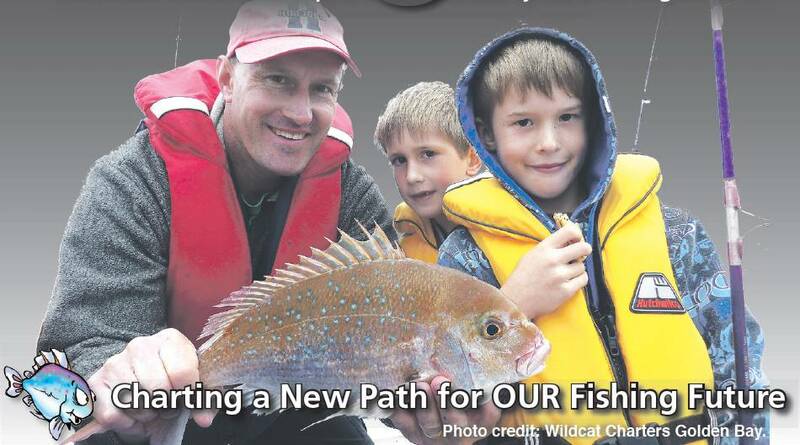 The ad being placed in key print and online fishing publications in addition to being widely disseminated to recreational fishing networks around the country – is an opportunity for anyone interested in participating in the February 2013 event to put their hand up. The Future Search Project Manager will receive all the Expressions of Interest and work with people to get details of their interest and experience in recreational fishing. This information will be provided to the multi-stakeholder steering committee for consideration. Final decisions on the 70 participants in the February 2013 event will then be made by the steering committee at the end of August 2012. The steering committee’s decisions will be guided by pre-agreed criteria and knowledge from their own stakeholder networks. Invitations to selected participants will then be sent in early September. An explanation will be sent to non-selected participants about the process and ways they can still provide their input to the project. A website dedicated to the Future Search project is currently in development and will be live sometime in September 2012. This site will have information on the selection of participants process and ways for fishers to learn more about the project and have their voices heard.